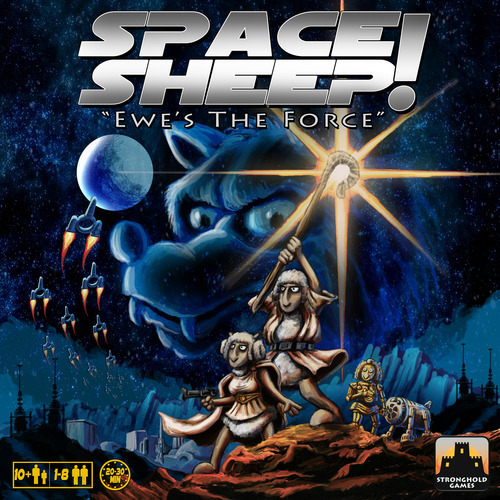 Again I need to stress the version I played was not a finished product, so I won’t be able to comment on the final quality of the components and artwork, so I’ll focus mostly on the game itself. 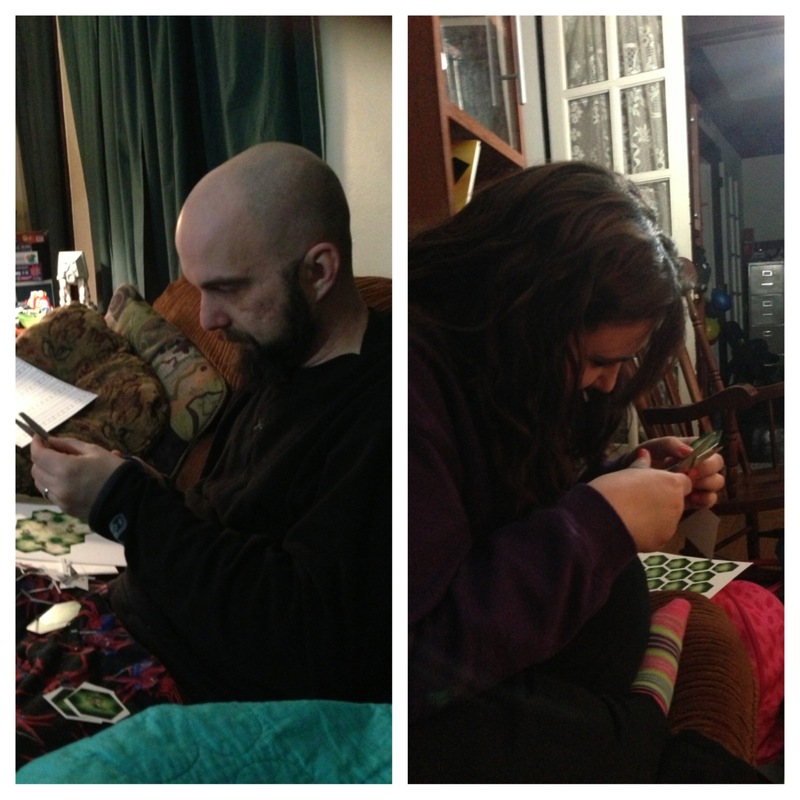 We had to call in reinforcements to get all of the pieces cut out! 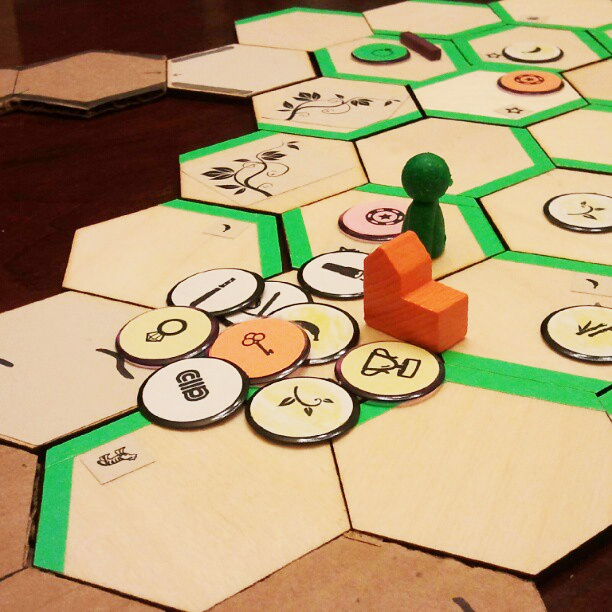 Setup – The game is setup by taking the base camp feature piece, and placing it on the table. 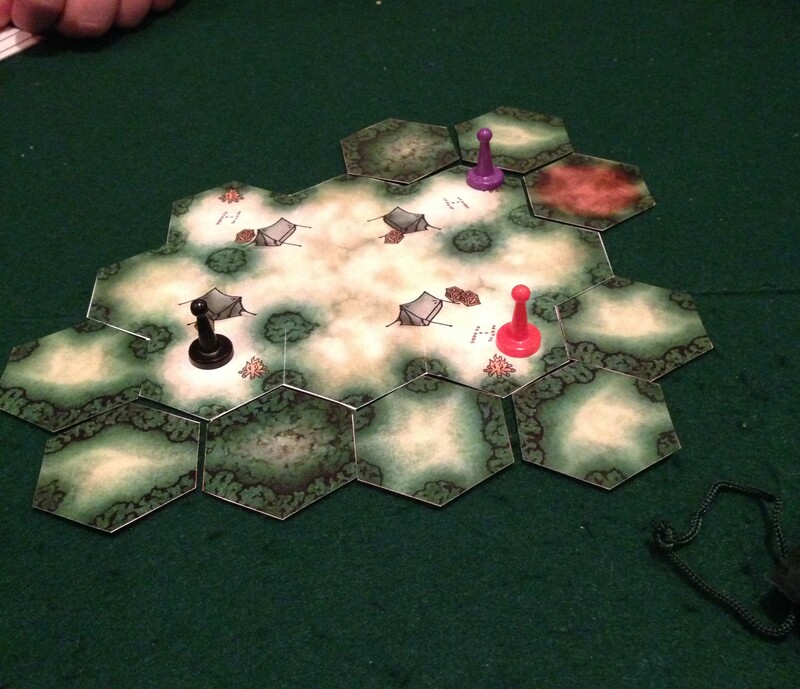 Each player then places their pawn at one of the starting hexes on the base camp, and then you place one starting tile in each adjacent space to each of the pawns. A bunch of supply tokens (except vines, bananas, and four panther traps) are tossed into the bag, and the treasure tokens are turned face down in a pile. The remaining tiles are stacked face down (there are even more if you are playing the advanced version with banana, and vine tiles). Each player is given a tray that acts as a backpack to hold supplies and treasures and a d8 is rolled to determine the first player. Gameplay – The gameplay is pretty easy to learn quickly with just a few tweaky rules on movement to be aware of. On their turn players roll two custom d6’s, one with numbers ranging from 2-4 on it, the other with one of four animal icons on it and two blank sides. If there are no animals in play (and there aren’t at the beginning of the game) ignore the result of the animal die (or just don’t roll it). The result of the numbered die is the number of actions a player can take that turn. Actions include moving one hex, or drawing supplies from the supply bag. And a few other special things we’ll talk about in a minute. As the players move their pawns, more of the jungle is revealed by taking one of the stacked jungle tiles and flipping it over in all of the adjacent open spaces next to the location where there pawn just moved. Do this for every space that is empty and adjacent to the pawn’s new location. As you flip these new tiles into place you begin to discover new areas of the jungle—you may find treasure, or quicksand, or animals that will attack you when they get the chance. As players move throughout the jungle discovering animals and treasures, they can pick up treasure (and don’t forget they can always grab gear from the supplies bag) and drop items out of their backpack to be picked up later by other players, in order to make room for more treasure—but you better hope you have that tranquilizer dart when a panther comes running for you! Animal encounters – As animals are revealed in the jungle, players will get the chance to move them and send them to visit their opponents whenever the corresponding symbol is rolled on the animal die. Once an animal has been rolled, each player takes turns controlling one of the animals in the jungle (if there are more than one of that specific type) starting with the player whose turn it is. They can move the animal 1 or 2 spaces in hopes of attacking another player, or sending it away from themselves! Each animal can only be moved once per turn, so other players cannot control the same one you just moved away from yourself. If they do enter the same space as the player, the player is either poisoned (by the snake), knocked unconscious (by the boar) or hospitalized and knocked out of the game completely (by the panther). Or if you’re playing the advanced game the monkey can come and steal an item from your backpack! Each of these attacks has different results, but most of them mean you lose your next turn, and the worst of them removes your pawn from the game board, and leaves all of your supplies on the space where you were attacked! After your skipped turn you return to the game at the base camp and can make a mad dash for your dropped supplies, or move on and try to recover. End game – The game ends when one player collects a set of 4 treasure tokens; the set can either be all of the same color, or all of the same type. Once they’ve collected their set, they then need to head back to any helicopter clearing and use 3 actions to be picked up and carried safely out of the jungle to win. Components – I’m commenting here on what is pictured on the Kickstarter page. The only down side of the components is that the animals get these really cool looking meeples and the players get your basic “Pandemic” looking pawns. Would love to see an Indy’ish type of meeple for the players. I loved the artwork—the jungle pieces and feature pieces look great! I can’t wait to see them on real tiles and not just card stock! 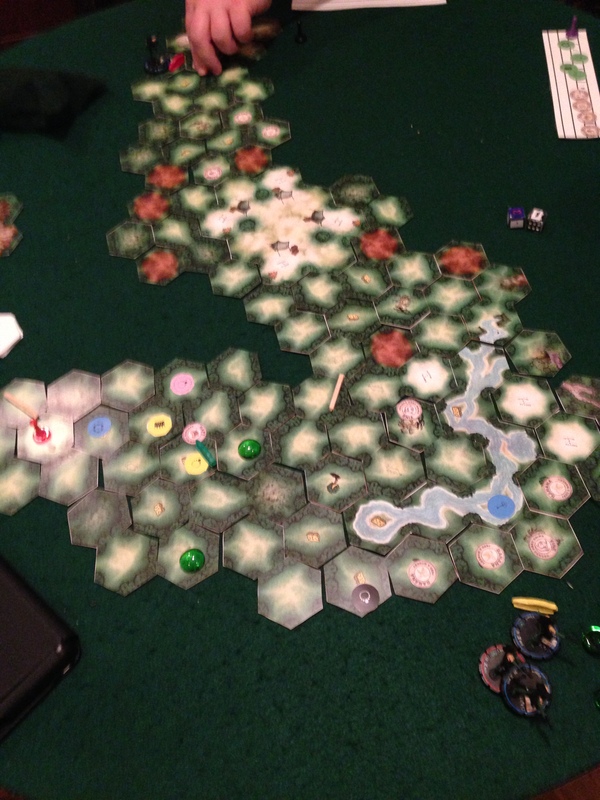 Gameplay – The game plays fairly quickly, and was really quite easy to learn and teach; a few turns in and you find your strategy unfolding as the jungle is revealed. 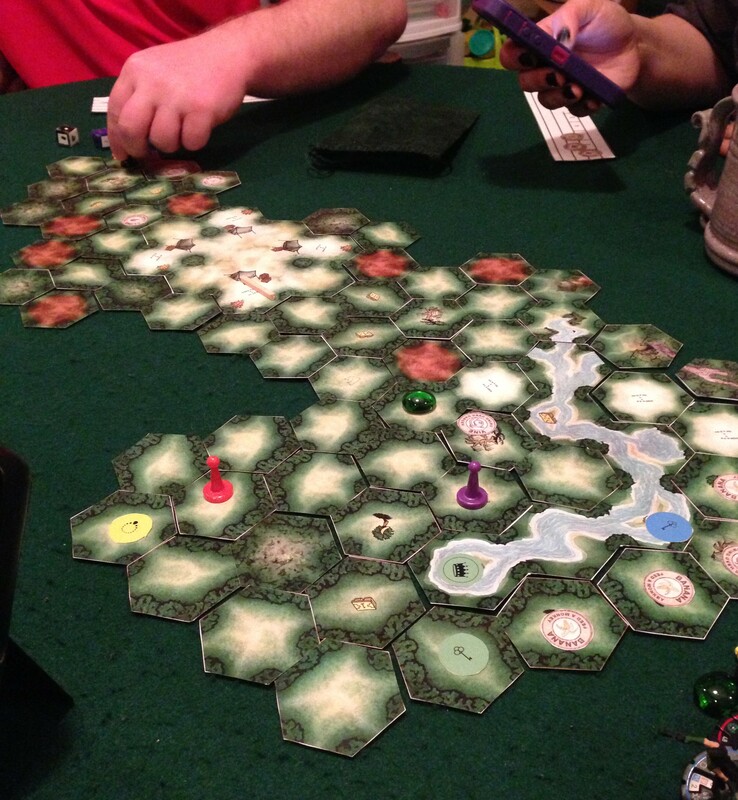 We had one player off on his own on the other side of the jungle, which didn’t bode well for him when animals starting popping up left and right, with no one else for them to go after in the area. At the top is Bob going off alone into the jungle, never to be heard from again! I really enjoy the variance of having a board that is never the same, it simulates very well the feeling of exploring a jungle and not knowing what is more than just a few steps ahead of you. A lot of folks are comparing it to Carcassonne because of the way the board takes shape sort of organically. I think that’s a fair comparison and a great compliment to the game. Carcassonne is a perennial favorite in the gaming community, and when a game can hearken back to a great game and put a fresh spin on the concept, it’s a cool thing that adds to the gaming culture. Like I said earlier, there are a few tweaky type of rules to be aware of, such as dense jungle on certain edges of certain tiles, and ways to swing across quicksand. As well as the different “states” that animals are in after they encounter a player. But they aren’t terribly difficult to grasp, and they don’t slow the game down. The dense jungle works well with the supply concept and makes it worth grabbing some tokens in hopes of finding a machete. Overall – We had a lot of fun with this one. 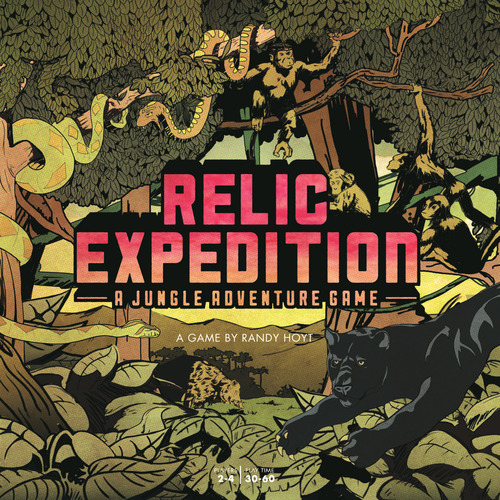 Relic Expedition blends its theme into gameplay mechanics extremely well, I can see my boys really enjoying this game, as well as serious gamers. There are plenty of decisions and hand-management choices to make, as well as a high replay value due to the ever-changing landscape from game to game, and even turn to turn. I’d love to see this expanded into 5-6 players; it seems to lend itself easily into that, but it needs funded first! We would like to thank Randy and Tyler of Foxtrot Games for setting us up with the prototype of the game to give a test drive! There’s still time to fund the project on Kickstarter as well. Are you backing the game? We’d love to hear from you! Join the conversation in the comments below. Or chime in on Facebook and Twitter. First off, can you tell us a little bit about yourselves, and how Foxtrot Games came to be? RH: My name’s Randy Hoyt, and I work professionally as a Web developer and a technology educator. I teach Web development for a startup called Treehouse. I live in Orlando, Florida, with my wife and two boys, ages 6 and 1. RH: I’ve been playing board games and card games for as long as I can remember. Every year at Christmas we would get a new family board game: games like Clue, Life, and Yahtzee. I would often play games by myself, physically moving around the table each turn and playing each player separately. I remember doing that with an old copy of Risk I found at my grandma’s house; I still have that copy. I still love playing cards, the combinations of suits and ranks, plus the possibilities for amazing artwork on the face cards. I took a bit of a break from board games during and shortly after college, but I’d have to credit two games with bringing me back into it. The first was Texas Hold ‘Em. I couldn’t believe that people were watching others play cards on television, and I had a lot of poker nights. And then Settlers of Catan. That was my first Euro-style game, I suppose, and I’ve since been playing the new ones as they come out. RH: I actually never really got into Indiana Jones; The Empire Strikes Back and Back to the Future are my favorite movies from the ’80s. Space travel and time travel appeal to me more than hacking my way through a jungle with a machete. I probably wouldn’t make it one day on a real relic expedition! RH: In that initial brainstorming session at the family reunion Tyler mentioned, we came up with most of the concepts in the final game: the expanding jungle board, the backpack constraint, the wild animals, the geographic features. (We had lots of other ideas that I felt needed to be pushed off to future expansions, such as roles with special abilities as in Pandemic.) We knew there would be collectible treasures but hadn’t really worked out how someone would win. I didn’t want the sheer quantity of treasures collected to matter; I wanted something more subtle than that. My love of playing cards, with their two attributes (rank and suit), came through here, I think, and I gave each treasure two different attributes (color and symbol). We talk about set collection at our house a lot, both the game mechanic and the psychological principle. Having that as the core mechanic for victory really appealed to me. I made a few different prototypes. The first was made out of cardstock and pieces cannibalized from other games. I played that with widely different rules a dozen times over two weeks, about one game a day. It was a fun process of seeing what was working and what was still lacking. I’ll give you one example. 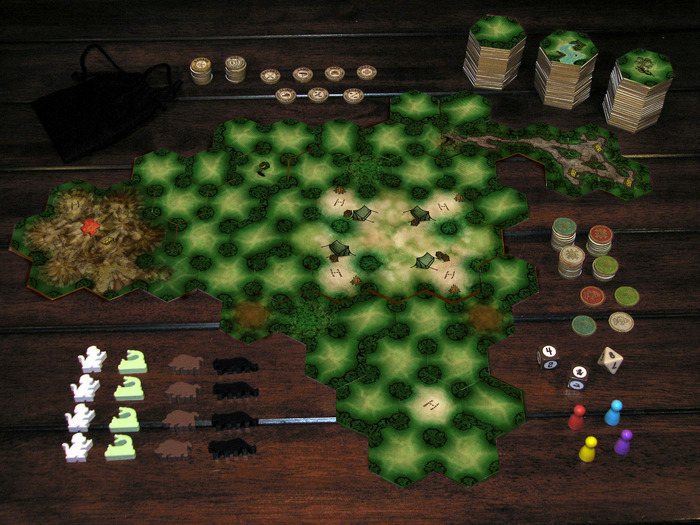 In the first few games, players had to get all the way back to the basecamp board in the middle to win, and players would explore different parts of the jungle independently. I added helicopter clearings to jungle tiles for the sixth game; they really worked with the theme and really helped both of those issues. TS: I’m the younger brother. I get his hand-me-downs. A lot of people comment that the game is like Carcassonne because the board is made by laying out tiles, with that board having a different shape each game. But it’s quite different in Relic Expedition because your explorer is actually moving from tile to tile, revealing new tiles as he explores. I’m really happy with how well the variable board mechanic and the explorer theme work together. BONUS: Relic Expedition: Great theme, easy to learn, lots of replayability. I think it’s now the game I’ve played the most number of times in my life. Thanks for reading and don’t forget to check out our Facebook and Twitter accounts for more fun and information! This week has been a crazy/busy/fun/hectic week for us here at TOG (and that’s both on the site, and in our lives), and we’re not done yet! First, if the question is “ARE YOU ASKING FOR A CHALLENNNNNNGE? ?” Pixel Lincoln’s answer would be “Yes.”. As Jason Tagmire has issued a game design challenge! We brought TWO, yes TWO, Double-Take Reviews! 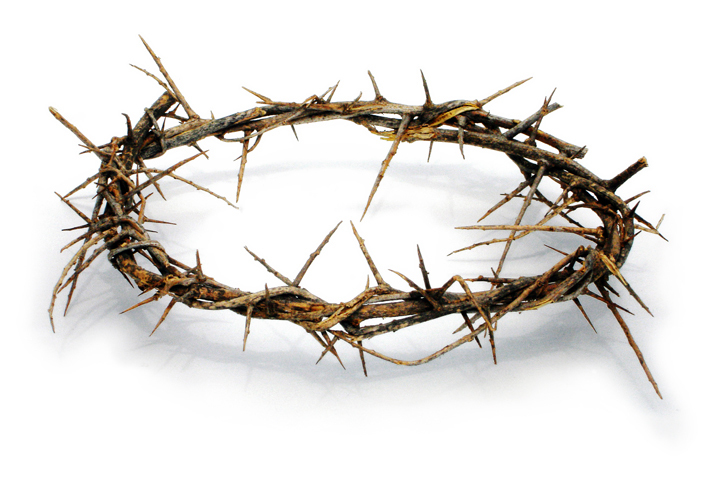 One for the upcoming Emperor’s New Clothes (which is still Kickstarting, until Monday. 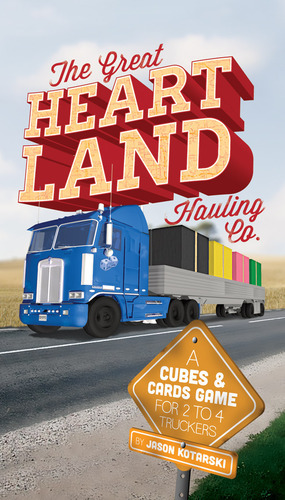 And the second for Jason Kotarski, and Dice Hate Me’s, The Great Heartland Hauling Co. We both had awesome things to say about each one; go read all the words! Mayfair is making an even bigger name for Catan, and now it’s showing up in classrooms! And Thursday we brought you TWO, yes TWO, Kickstarter Weekly Features. 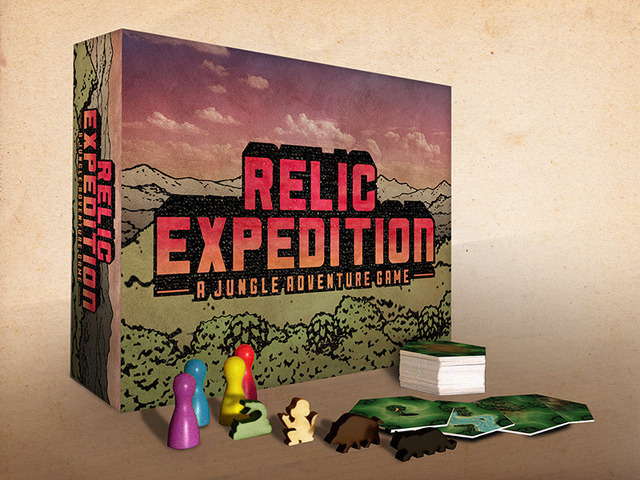 Relic Expedition which looks AWESOME (look for an interview with the Foxtrot Games guys soon!). And our good friends over at Game Salute are funding a cool accessory for your sci-fi themed games – Rocket Dice! And we’ve asked folks to chime in on our Facebook page and tell us who your favorite A-Team member is! Thanks so much for reading our posts we hope you find them 3 F’s – Fun, Factual, and inFormative! 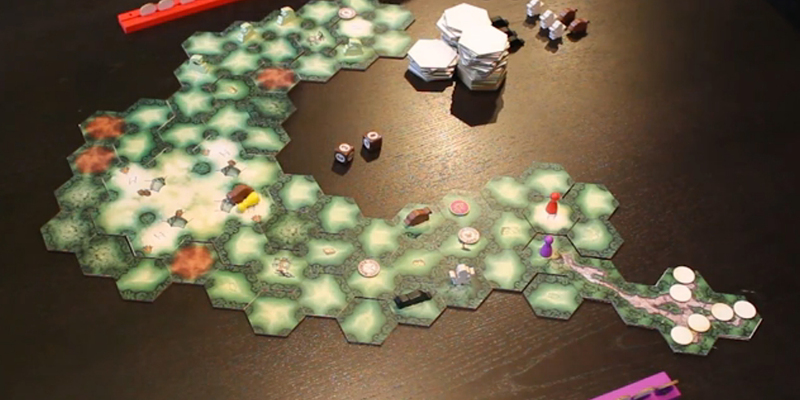 Today’s Kickstarter weekly features a cool-looking game of exploration and adventure. The only down side to this Kickstarter is the price tag to get a copy of the game is a tad on the high side at $49. But judging from the images, you’re going to get some really quality components! You can check out the campaign here, including a PDF download of the rule book! Are you backing this? We’d love to hear what pushed you off the fence! Or you still on the fence? Tell us why! Leave it in the comments below! Thanks for reading, and don’t forget those Facebook and Twitter things! And we especially appreciate it when you subscribe over on the right!